Disclosure: I received an advanced reader's copy of Sister Dear from Litfuse Publicity Group and Thomas Nelson for the purpose of providing an honest review. The opinions stated here are entirely my own. If you cannot already tell by now, I am a lover of mysteries. I am not sure if it is the plot twists or the constant suspense, but I cannot get enough! My latest mystery, Sister Dear by Laura McNeill is a true example of just that. It is an enticing tale of family, deception and secrets that will rope you in from the get-go. Allie, the main character has just been released from prison for a crime she did not commit. When she was imprisoned, she left behind her young daughter. Emma, her kid sister, took on the responsibility of raising her daughter for her while she was gone. Once released, Allie needs to navigate this world that has seemingly become foreign to her, while also trying to piece together the mystery of who really committed the crime that she did the time for. Caroline, her now teen-aged daughter wants nothing to do with her, and let's face it, there is nothing less cool than having an assumed convict for a mother. As Allie struggles to make the most of her life and the stigma she has attached to her, she also faces some serious challenges as she tries to prove her innocence. The suspicions and suspense build throughout this novel to the very last page. In all honesty, I really like this book. It is one of those books that would be a great vacation read, or something you can bring with you as you travel. I personally felt that there was a great amount of time devoted to character development and the little details, which also leaves room for suspense. Some readers have said that it was "slow", and I would have to agree. To me, that is not a deal-breaker, as I simply just love the act of reading. I did find the book engaging enough, and there are little "secrets" that slowly seep out as the story is told. I also really liked that the story was told in different perspectives (Allie's, Emma's, Caroline's, Sergeant Gaines') to give the reader a bird's eye view, so to speak, of the situation. Be sure to check out some of the other reviews HERE. Disclosure: I received a complimentary copy of this book from Litfuse Publicity Group. The opinions stated within are entirely my own. I have always had a love for all thing mystery and Sherlock Holmes since I was young. I even took a class during my undergraduate studies where we discussed mysteries and read Sherlock Holmes and Agatha Christie books. It was great! I was thrilled when had the opportunity to review The Bachelors Guide to Murder by Rachel McMillan. With all of the crime shows on TV these days it is impossible to not get semi-interested and intrigued by this niche. The Bachelor Girl's Guide to Murder is a Fiction-Suspense novel based in Toronto, Canada, circa the early 1900s. There are accurate historical references in this entertaining and funny murder mystery. 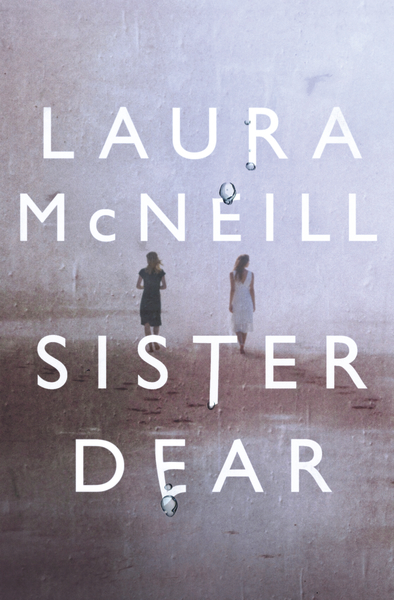 The two main characters, Merinda Herrngford and Jemima Watts are two bachelor girls whose main interest are solving murders, not changing their bachelor status. In a time period where it was taboo to see a woman doing a "man's job", they were not only fighting off the judgmental perceptions of the people around them, but also their own families, and a group called the "Morality Squad ". Throughout the twists and turns of the initial mystery, you have humorous and informational foot notes, romance and also the artistic design of the book which truly adds to the readability. I found this book to be quite enjoyable. I love any good mystery, but to add a couple of female detective-wannabes to the mix and it gave me a truly unique read. I really love the design of the book, inside and out, and it added to the entire reading experience. This book is, informally, part of a series, so you can read more from Rachel McMillan that also has Merinda and Jem as the main characters. I found this to be a quick read, and would be something great for a rainy day, a long plane ride, or whenever you are pressed for time but would love to fit a book in.